As I may have mentioned previously, my daughter is obsessed loves Disney princesses. I swear, they have mind control over preschoolers. And not just girls... This morning, my son was belting out "And at last I see the light" when he thought no one was around to listen. Anyways, I've been wanting to put together a little princess movie night for Ella and her friends, and finally got around to doing it. And it was so much fun! First we had pizza with punch from a special pink fountain, and then the kiddos settled down for "Tangled". 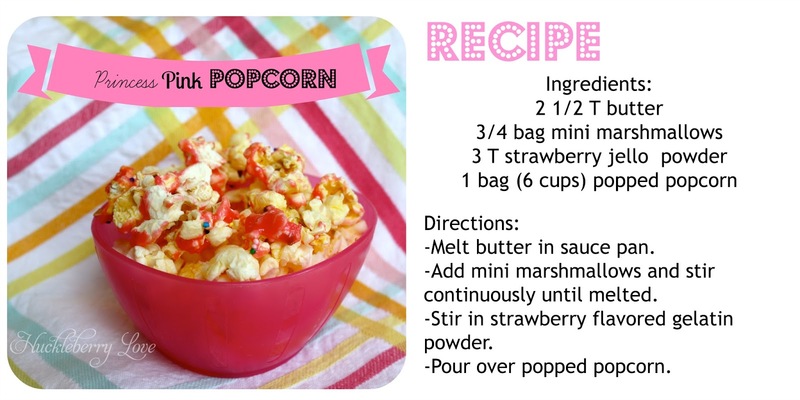 No movie night is complete without popcorn, and so with the princess theme came princess pink popcorn. My sister-in-law gave Ella the cutest princess cookbook for Christmas, and she had been begging me to make something from it. 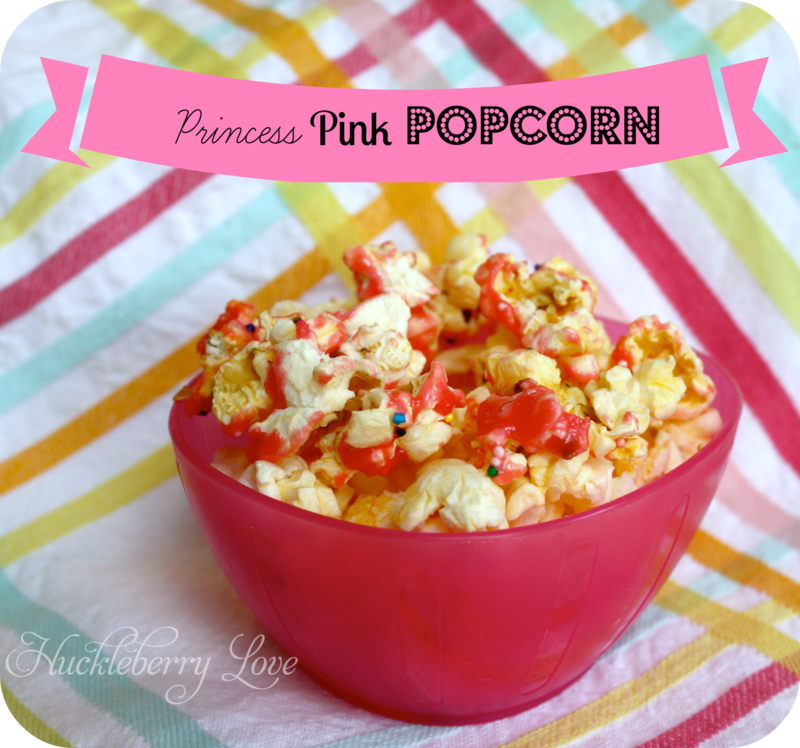 This princess pink popcorn sparked both of our interests and made for a great addition to princess movie night. The kids kept asking for more! It was so good that I almost didn't get a picture because my sweet-tooth-husband stole the bowl I had set aside. And because I'm in the sharing mood, here's the recipe that I adapted from The Disney Princess Cookbook. Awww...the girls look so cute in their princess dresses. We eat a lot of popcorn at our house and it's usually on the savory side, so this will be a nice change. Will definitely give this a try since we always have Jell-O and marshmallows. Thanks for sharing on Merry Monday Linky Party. Pinned. 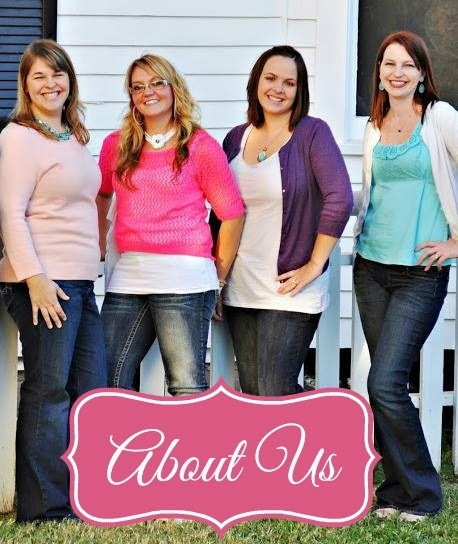 Thanks so much for linking up at Teach Me Tuesdays @ 3GLOL. We appreciate you!!!! Hope to see you again this week! !